Three years ago, in the autumn of 2014 – and extending into 2015 – I experienced a kind of creative fugue, which resulted in my entire ‘novelistic memoir’ approach to past, present and future extended works being rebased as pure fiction – but of the metafictional kind. As a result, Literary Stalker – an old idea from the 1990s – got a new lease of life, and The Empty Chair, my next intended novelistic memoir, got recalled to the workshop. 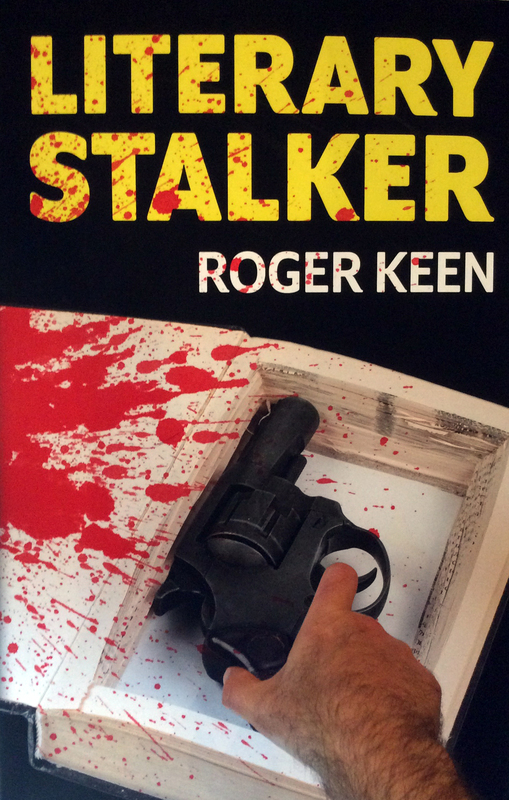 As a psychological crime/horror novel, Literary Stalker would seem a large and radical departure from that novelistic memoir direction, and in some ways it is, but not in others. I did write psychologically-orientated crime, horror, fantasy and noir fiction back in the ’90s, having short stories published in various (now largely forgotten) small press magazines such as Psychotrope, Threads, Sierra Heaven and others with similarly freakish names. I also wrote two or three novels running along the same lines, which never saw the light of day, though one came close. This whole authorial thrust petered out in the late ’90s, and though I continued writing articles and reviews concerning weird and genre fiction and film, I lost the inspiration for actually creating such fiction myself. Instead, amongst other projects, I pressed on with more versions of the semi-autobiographical novels that would eventually be (almost!) de-fictionalised as The Mad Artist and The Empty Chair. Though nominally a memoir, my previous book, The Mad Artist, is based as much on my attempts to turn its material into novels as it is on the events – the psychonautic adventures – themselves. That’s what gave me the incentive to write it in the form that I eventually chose – a self-begetting narrative with nested versions of itself and strong metafictional overtones. The Empty Chair also follows in that direction, but is taken much, much further. My creative journey of September 2014 onwards involved applying these same techniques to a piece of actual made-up fiction rather than assemblages of autobiography. And the ‘Literary Stalker’ project, which came from my horror-writing days of the ’90s, proved an ideal vehicle. What made the idea work, content-wise, was my rediscovery and multiple re-watching of a favourite hoary old horror movie of the 1970s: Theatre of Blood, staring Vincent Price as the deranged Shakespearian actor Edward Lionheart, who compiles a hit list of the critics who’ve given him bad reviews and then murders each one in a different theatrical setting taken from a Shakespeare play. 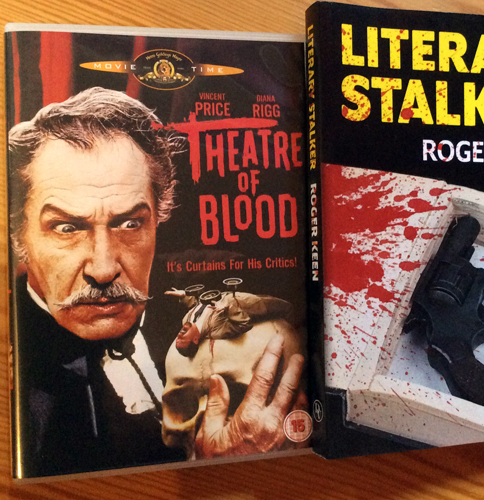 My idea was to make Literary Stalker a pastiche of Theatre of Blood, where the narrator, Nick Chatterton, uses the plots of classic crime and horror films as the templates for the revenge murders of his enemies. But he’s not actually committing these murders, he is writing them up in his novel The Facebook Murders, and the story of Literary Stalker is the story of the composition of that novel-within-a-novel. So, in a sense Literary Stalker marks the completion of a circle or loop or Möbius strip between my old ’90s horror/crime work and the later meta-memoir tendency. The narrator, Nick Chatterton, is gay – for reasons which become clear as the novel progresses – and his creation was something of a challenge for a straight author…but that’s another story. I will be penning more pieces – and perhaps making some films – about the gay, homicidal and metafictional aspects of the work, so stay tuned. More details about Literary Stalker can be found on the publisher site here: Darkness Visible. An excellent review by Noel Megahey appears here on The Digital Fix: Geek Life. And in the United States here: Amazon.com. Also on other Amazons worldwide.